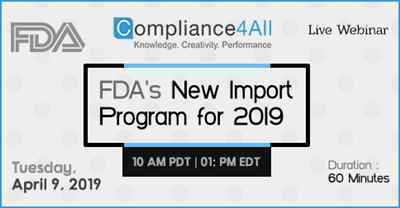 In this interactive session author will discuss about the FDA's required information for the PREDICT software screening prior to entry and Custom's Harmonized Tariff Schedule (HTS). Casper (Cap) Uldriks, through his firm "Encore Insight LLC," brings over 32 years of experience from the FDA. He specialized in the FDA's medical device program as a field investigator, served as a senior manager in the Office of Compliance and an Associate Center Director for the Center for Devices and Radiological Health.